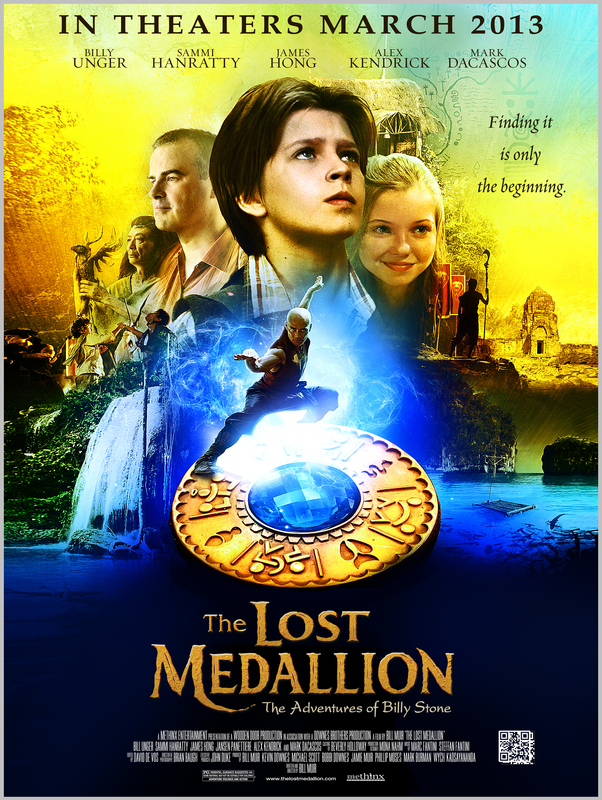 The journey of The Lost Medallion: The Adventures of Billy Stone commences as Daniel Anderson (Alex Kendrick – Courageous, Fireproof, Facing the Giants) visits a foster home to drop off a donation and is quickly roped into telling the kids a story. Daniel tells the tale of Billy Stone (Billy Unger – Lab Rats on Disney XD, National Treasure, You Again) and Allie (Sammi Hanratty – American Girl, A Christmas Carol), two 13-year-old friends who uncover a long-lost medallion and accidentally wish themselves back in time. In order for Billy to save Allie’s life, he must give up the lost medallion to the evil warlord, Cobra, (Mark Dacascos) who rules the island and its people. Now, in order to retrieve the medallion and save the island people from slavery, Billy and Allie must work together with a young arrogant king (Jansen Panettiere – The Perfect Game), his best friend, and a wise old man (James Hong – Kung Fu Panda, Chinatown, Blade Runner). Together, this unlikely group will learn not only how to work together, but when they do, great things can be accomplished. You can find out more about The Lost Medallion here: TheLostMedallion.com. Here’s a link to the official trailer. By the way, if it is not in your city, go to the website to find out if you can help bring it to a theater near you. Enjoy!